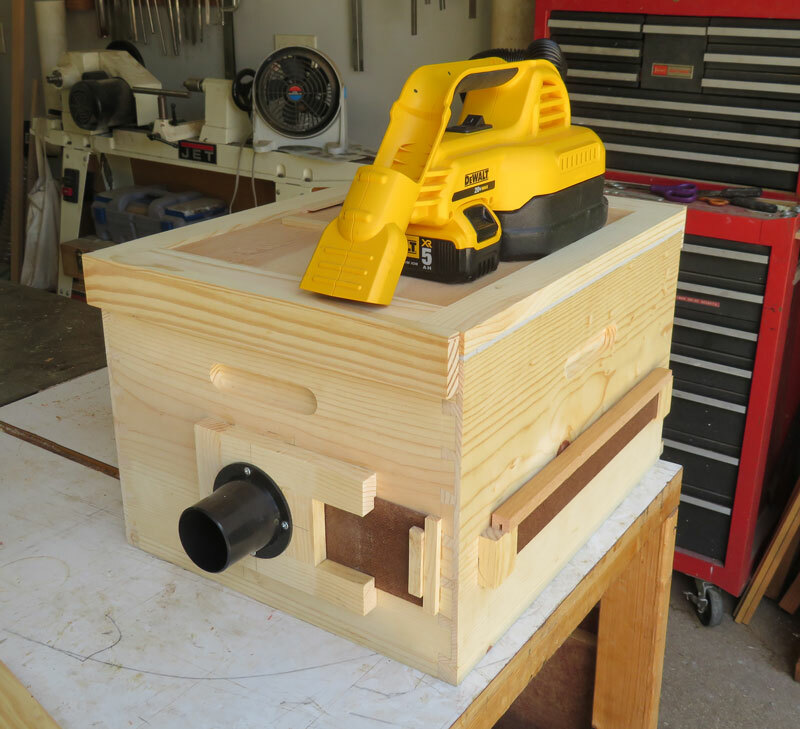 I'll start this blog by talking about the bee vacuum that I developed. There are a lot of different designs for bee vacuums and probably a number similar to mine. Let me start by talking about "Why a bee vacuum?". It doesn't matter whether you're going to pick up a swarm hanging in a tree, or doing a cutout in a building. 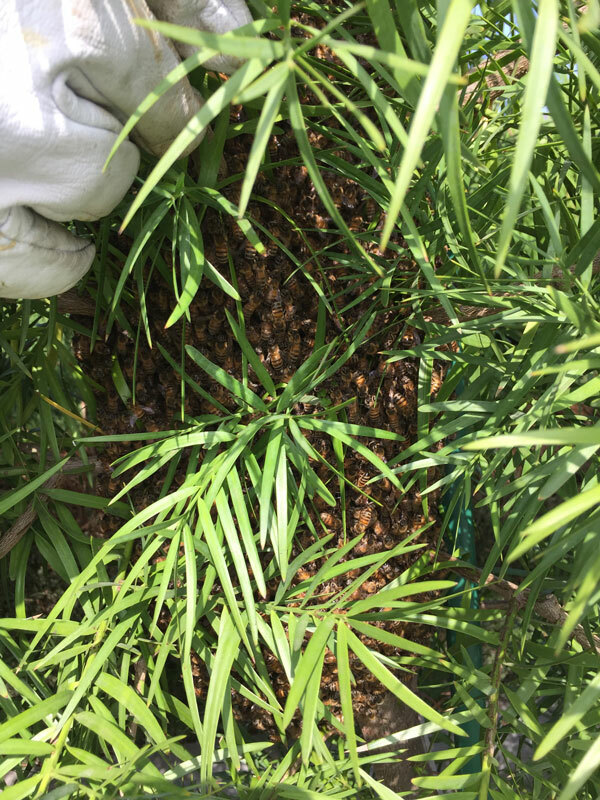 You need some way to capture the bees and transfer them to a regular hive body without causing excessive stress to the bees. 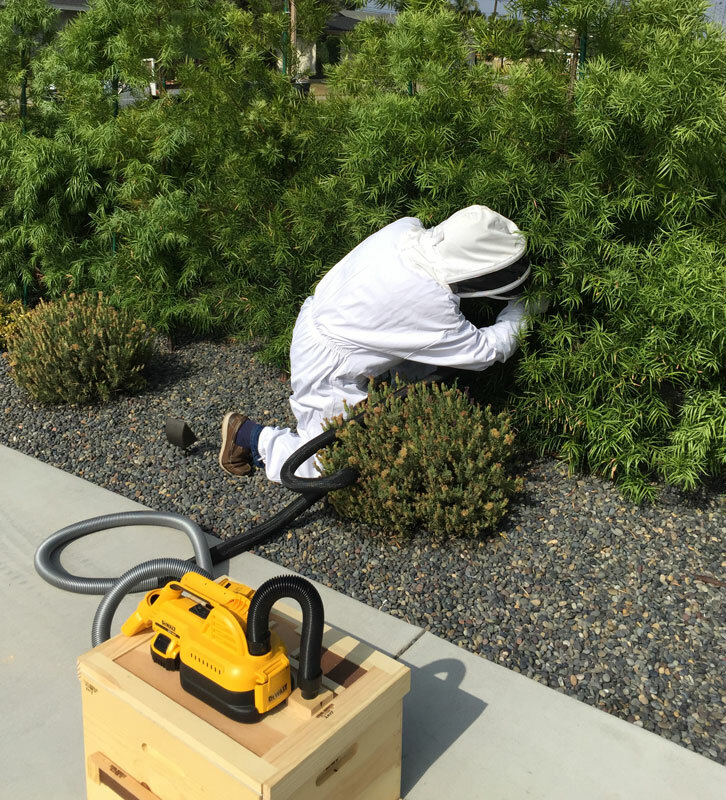 And here I am retrieving that swarm with the bee vacuum. This was a really nice group of bees - large and docile. The bee vacuum is the size of a hive body so after I've captured all the bees, I put it on a full size brood body and open the bottom of the hive. This video describes the process. If you're interested in building one, you can find a tutorial here.